JALT Niigata Events JALT Niigata Events are held at the Niigata Station Campus of Niigata University in the seminar rooms known as Tokimeito (ときめいと). Go to the 2nd floor of the Plaka 1 building just outside the South Exit of Niigata Station. The meeting rooms are just above the famous Junkudo Bookstore ( ジュンク堂書店). ​If the location changes we'll let you know by email: sign up to our mailing list here. ​........and if it's your first time, it's FREE! Nothing to lose. ​See you there. Non-members first time = FREE! Abstract: English education and team teaching in Japanese public and private high schools demand the collaboration of JTEs and ALTs. The roles of each in terms of lesson preparation/materials selection, as well as the perceived agency of the Japanese Teachers of English (JTEs) and Assistant Language Teachers (ALTs) in the national foreign language curriculum can become sources of conflict and dysfunction. This is an examination of their pre-service and in-service training. High school ALTs and JTEs nationwide were surveyed and interviewed. Both parties felt that there needs to be clearer guidelines of their individual roles to team-teach effectively. Bio: ​Farrah Hasnain is a fourth-year ALT with the JET Program at Hamamatsu Higashi Senior High School. She is from Washington, DC, USA. Her research interests include English education in Japanese high schools and ethnography of immigrant and minority communities in Japan and the US. Abstract: ALTs' receive little to no training, although they have incredible potential to meet MEXT goals and make a noticeable dent in the quality of education students receive. With no other parties openly intending to support ALTs in supporting the growth of their students, and themselves, I outline a grass roots initiative aiming to do this. I share the ongoing needs analysis that gave rise to this teacher training initiative and how it is being put together. Bio: Nathaniel Reed is a British forth-year ALT for the Niigata City Board of Education. 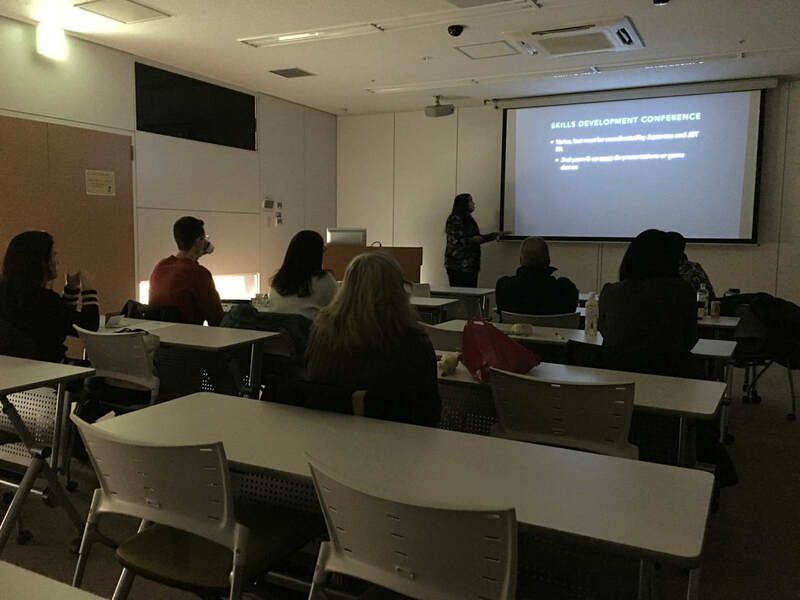 He received an MA in Applied Linguistics in 2015, He has published on ALT Training Online and been giving presentations on it around Japan, including JALT International conferences. Abstract: In the 21st century, prospective employers of our graduates are no longer satisfied with solely higher levels of English language proficiency, but also require additional skills that shape a well-rounded global citizen. As part of the global community, our learners will be required to be autonomous and confident and be able to think critically. In addition, our learners need to be able to effectively manage large amounts of information, use technology efficiently, understand the cultural perspectives of others, and work collaboratively and in leadership positions. All of these skills need to be incorporated into language programs that increasingly are providing content through English medium instruction, increasing the expectations placed on students and instructors alike. This workshop will provide opportunities for teachers to discuss the obstacles they face when trying to support learners as they develop these skills, and to discuss effective approaches to overcoming these obstacles. Participants in this workshop will also have the opportunity to discuss specific strategies and effective suggestions that teachers can use on a daily basis within any curriculum with students at any level to help them achieve the skills necessary for success within the global community. Bio: Richmond Stroupe has worked with university and professional language learners from Asia since 1989. He received a Ph.D. in International Comparative Education from the University of Southern California and has been involved in the development of language learning programs in a number of contexts. He is the Chair of the Master's Program in International Language Education: TESOL at Soka University, Japan. Richmond is professionally active in Japan, as the President of the Japan Association for Language Teaching (JALT), in the United States, with TESOL International Association through involvement in various committees and task forces, and in Cambodia, with CamTESOL (Cambodia TESOL), as a member of the Advisory Board of the IDP Education sponsored Language Education in Asia publication. Richmond actively conducts workshops, publishes and presents on a variety of professional activities and research projects, which include teacher education practices, curriculum and professional development, and developing learners' critical thinking skills. Abstract: In modern university contexts students are increasingly expected to participate in online discussions as part of their course work, and North American faculty are increasingly using social media to host and facilitate these discussions (Seaman & Tinti-Kane, 2013). In order to communicate effectively in university contexts where English is the medium of instruction, ESL students studying in EAP courses require opportunities to develop and practice their English computer-mediated communication skills. This presentation is about a literacy activity, introduced into the curriculum of an EAP program at the University of Toronto, that used Facebook Groups to host student online book clubs. In the first half of the presentation an explanation of how the book clubs were set up and implemented will be given. The affordances of the Facebook groups for learning will be outlined, and pedagogic practices and curriculum documents shared. In the second part Chris presents data from his qualitative doctoral research on the book clubs. Informed by sociocultural theory (Vygotsky, 1962, 1978), insights gained through a content analysis of the student and teacher book club comments and interactions, a student questionnaire, and data collected from interviews with case study students will be discussed. The findings indicate that students read extensively beyond those books read for the book clubs, demonstrated a high degree of cognitive presence (Garrison, Anderson and Archer, 2000), and scaffolded (Bruner, 1983) each other’s learning as part of the book clubs interactive process. Bio: Chris Harwood is an Assistant Professor in the Faculty of Liberal Arts at Sophia University in Japan. He has over 20 years’ teaching and research experience in EAP and TESOL, and has taught in England, Canada, Singapore, Japan, Austria, Egypt and Thailand. His research interests include computer-mediated communication, academic discourse socialization and blended student-centred learning. He has published articles on digital literacy and the use of social media in academic contexts. Abstract: In this workshop, Chiyuki Yanase will discuss what Content and Language Integrated Learning (CLIL) is and why it can be an effective approach in EFL classes for young learners. She will also explore how CLIL can be integrated in order to develop young learners’ literacy skills in a EFL story-based class. Participants will be invited to experience CLIL activities, based on a story. It is hoped that participants go back to their classrooms with engaging CLIL activities which motivate literacy development and language learning of young learners. Bio: Chiyuki Yanase is a language school owner and a lecturer at several universities in Tokyo. She has been teaching English for young learners for over 20 years and holds MSc in TEYL from Aston University. Her research interests focus on collaborative learning and the literacy development of young learners. She has presented at numerous conferences, and published several articles on team-teaching, learner autonomy and collaborative learning. Abstract: This presentation provides an overview of the role of vocabulary in second language acquisition and in the comprehension of academic discourse in EMI settings. It then describes the features of a hypothetical research-based program of vocabulary study. These features include spaced rehearsal, adaptive learning, increasing retrieval difficulty, the use of an appropriate word counting unit, the presentation of both audio and orthographic forms, the use of context, and the use of the learners' L1. Findings in the research literature on vocabulary learning are easy to understand, yet difficult to apply in EFL, CLIL, and EMI settings. As a result, students often fail to reach their potential. The second part of the presentation describes the challenges faced, the great assistance received and steps taken when the presenter piloted, created, and administered an institution-wide research-informed approach to vocabulary learning. The final part offers guidelines for teachers in EFL, CLIL, and EMI classrooms. Bio: Stuart McLean is an instructor at Osaka Jogakuin University. He holds an M.S.Ed. (TESOL), a Ph.D. in Forensic Medicine, and British and Australian teaching licenses. He is currently an Applied Linguistics doctoral student at Kansai University. He has published in Reading in a ForeignLanguage, Vocabulary Learning and Instruction, Language Teaching Research, TESOL Quarterly, System, Applied Linguistics, and Language Assessment Quarterly on subjects relayed to testing, reading, listening, and vocabulary. Abstract: This presentation is a journey to my activism and identity reconstruction as an Iranian English teacher/researcher in Japan by recounting my critical events—unexpected incidents that significantly influence an individual (Mertova & Webster, 2012)—and my personal narratives—stories which we tell ourselves and others about our personal lived experiences (Baker, 2006, 2014). I will discuss how these incidents and stories have changed my life and how I am trying different ways to be a change agent to dispel stereotypes about my identity. I will introduce my weblog, titled “I Am More Than A Stereotype” (beyondyourstereotypes.wordpress.com), where I write about my ouch moments in the hope of eliminating macro and micro aggressions, defined as “the everyday verbal, nonverbal, and environmental slights, snubs, or insults, whether intentional or unintentional, that communicate hostile, derogatory, or negative messages to target persons based solely upon their marginalized group membership” (Sue, 2010, p. 3), and stereotypes by making the invisible visible. I will also explain and illustrate how I create classrooms of and for activism by integrating my weblog into my lessons and by introducing the real Iran and Iranian people behind the news to my students. I will further offer a display of items that tangibly represent stages of my journey and identity formation. Bio: Parisa Mehran is a PhD candidate at Takemura Lab, Informedia Education Division, Cybermedia Center, Osaka University, Japan. Born and raised in Tehran, she holds a BA in English Language and Literature and an MA in Teaching English as a Foreign Language (TEFL), both from Alzahra University, Tehran, Iran. Before moving to Japan, she taught English for Academic Purposes (EAP) and General English (GE) courses at Alzahra University. In 2014, she obtained the Japanese Government (Monbukagakusho) Scholarship and is now pursuing further education in Japan. Her research interests include Computer Assisted Language Learning (CALL), online/blended course design, AR/VR applications in ELT, teaching English for peace and social change, and global issues in ELT. She currently teaches part-time at Konan Women's University, Kobe Women's University, and an English conversation school, Princeford English College. She also actively gives talks about the real Iran and the Iranian people behind the news, and blogs about the Iranian identity. Abstract: In my follow-up session, I will facilitate discussion about how educators can and should be responding to the voices of people like Parisa. Are we making as much effort as she is to be change agents and dispel stereotypes, or could some of us be a little too comfortable with an inequitable status quo? I have over a decade of experience serving as chair of human rights and sexual harassment committees at my university, and offering diversity training in FD and PD seminars for both high school teachers and university professors through our Open University and Teaching and Learning Support Center, especially for professors using EMI in classes with international students. But I am acutely aware that all too often, the programs and publications offered by our institutions are little more than superficial PR hype that fails to address the realities on our campuses. How can we move beyond talking the talk to walking the walk? As a bridge or springboard (diving board?) for discussion, I propose that we discuss the JALT Code of Conduct, a short one-page document that is easily accessible on the website, and explore the roles we are challenged to play in realizing the ideals we profess to uphold. Bio: ​Gerry Yokota is Professor of English and Contemporary Interdisciplinary Cultural Studies at Osaka University. In her teaching and research, she takes a cognitive linguistic approach to academic writing, critical thinking, and the representation of gender and culture. 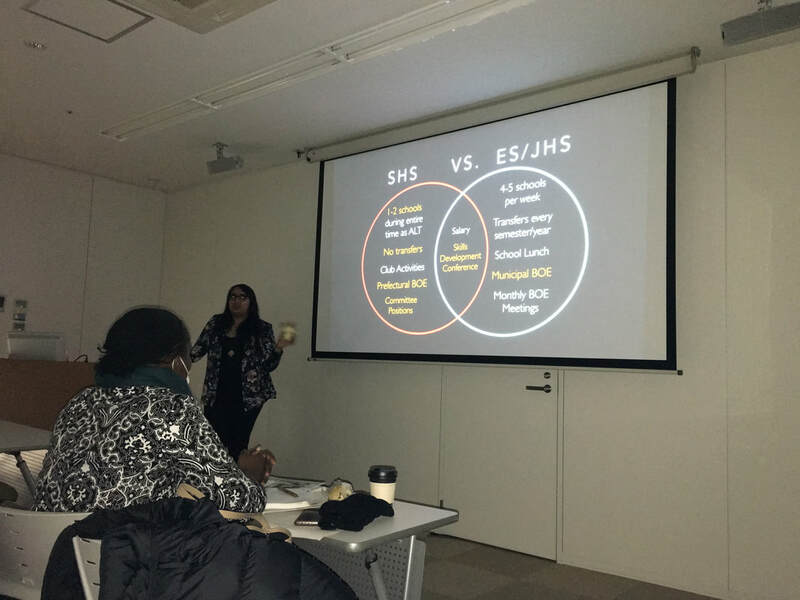 In the area of professional service, she has over a decade of experience offering diversity training in FD and PD seminars for both high school teachers and university professors through Osaka University’s Open University and Teaching and Learning Support Center, especially for professors using EMI in classes with international students. She has also served as chair of her faculty’s human rights committee and the university-wide sexual harassment subcommittee, and as director of the university's harassment counseling office.